From focusing on startups to helping enterprises build digital businesses or to retire technical debt, AWS will work closely with its partner ecosystem that includes technical partners, global ISVs, regional system ISVs, traditional ISVs, and consulting partners to tap a huge opportunity on its platform. 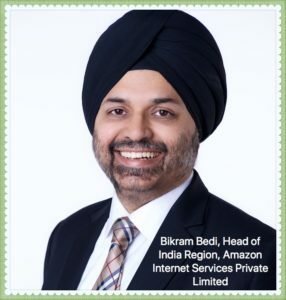 In the second part of the interview, Bikram Bedi, Head of India Region, Amazon Internet Services Private Limited (AISPL) tells Digital Creed about plans for the channel business, how AWS works with startups, and the company’s core focus areas. DC: What are the core focus area for AWS in India? Bikram: As a company, we have clearly defined our focus areas, and those are essentially three: The first is Startups. We are going to be focusing in that space, working with our customers. We’ve already got large investments in that space and we are going to continue to work with our customers, innovate on their behalf, give them the latest as far as technology is concerned. The second is, Enterprise and within that, there are really two motions that we are driving. 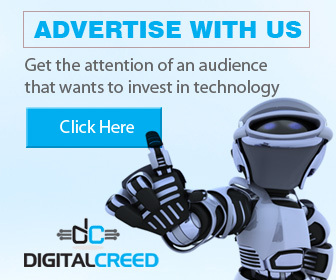 The first is, any enterprise that we are talking to, that is looking to build a digital business. And given our pedigree of having worked in the startup ecosystem, Amazon.com, a large part of Amazon runs off AWS, we obviously understand that whole digital story better than anybody else. So, that’s a big one for us, which is where you see Bajaj Finance and Aditya Birla Capital and all of these guys; HDFC Life, when they are building that digital business, AWS does seem to be a default choice there. We are a company that is obsessed with our partners in terms of the fact that we focus on what is our partner’s requirement and then we build off that. The second motion is really around what we call retiring technical debt. We are going in and saying to companies, we can help you look at all the investments that you have made. And then can we help you build operational efficiencies in those areas. Customers have made investments and those investments are working for them. But we think we can do it in an operationally more efficient way. We could help them with cost savings, we could help them get more agile on their infrastructure. DC: Let’s talk about how are you evolving your channel business in India, because that is also one of your responsibilities. Bikram: I have been in the IT industry in India now for 23-24 years. I have seldom or rarely seen a business succeed without partners. So we realised very early on that we needed a strong partner network to be able to be successful in India. And hence we started out many years ago, where we started to build the channel. We are the pioneers in the cloud space. We started 12 years ago. And frankly, we are a company that is obsessed with our partners in terms of the fact that we focus on what is our partner’s requirement and then you build off that. Now that would also mean sometimes walking into blind alleys or dark alleys (no precedent to follow). It is usually us who are at the forefront of this, being the pioneers in this whole space. So we started off looking at the partners available out there and asking, how can we be successful together? And over a period of time, we have built a business which is now actually focused on a few different things. The first is, we have a set of partners that we call the born in the cloud partners. They are small partners but they do some wonderful things. BlazeClan is one good example. They are great partners and they have grown along with us over the last number of years. They have now moved into the ASEAN market and into different markets outside India. But these are partners of ours who are… they started their journey on AWS on the cloud. And frankly, if you call them in and give them some on-premise work they probably won’t be interested. Because they know the cloud very well, and that’s what they like to work on. And then from there, there are the regional system integrators. Partners like Progressive, Team Computers, Orient Technologies, who have been working with us for a number of years. And they have been serving their customers, and they come with these large captive bases of customers where they have been selling them so many things over the last 10, 15, or 20 years. They are now taking cloud technologies into that customer base and helping those customers do those two things I spoke about — Retire technical debt and build factories of digital innovation. We have a program called AWS Activate, which includes free credits. We give startups free credits so that they can start building their businesses off us. It includes trainings and mentorship. Then you get into accelerators and incubators. Once you start off, then you find a good accelerator or a venture capital company. DC: What about the global system integrators? Bikram: Wipro, TCS, Deloitte, Accenture, PWC — the big guys who are working in the large enterprise space, the upper market space, who are doing things like SAP. PwC is a key partner for us for SAP. We’ve had a number of wins with them around the whole SAP space because they are one of SAP’s largest partners in this country. So a lot of that is now being put on to AWS. Or you look at Wipro, where we are working with them on a number of key initiatives across the large enterprises. So that’s the space that we call the consulting partner space. And it is a space we are heavily focused on because they are our arms and legs for the market. They take us out into the market, they take us to their customers, and help us pitch to those customers, win with those customers, help those customers realise the benefit of AWS. So it’s a very important segment for us. DC: Can you give us some examples of how you support Internet companies and technology partners? Bikram: Technology Partners are really ISVs. These are partners who are building IP and solutions on us. They could be multi-tenant or single-tenant, SaaS solutions. But these are partners who have basically decided that they are going to build their next generation technology on AWS. And these could be new Internet companies, the likes of Freshdesk. Freshdesk has been with us now for a number of years. And if I remember correctly, when they migrated to AWS, they had a million service calls a week back in the year 2013. But about 4 or 5 years ago it was about a million service calls. In 2016 they had over 340 million service calls in a week. So that’s the kind of scale they have seen. They work with large multinationals, they work with small micro SME customers across the board. CleverTap is another great example, based here in India. They are in the analytics space. Then there’s Manthan Systems who are doing analytics in the retail technology space. They’ve been a partner for us for a number of years now; they use our core technologies including Amazon Redshift which is our data warehousing solution. They use that and they are doing a lot of work with us. DC: What about the traditional ISVs who have been around for years? Bikram: Traditional ISVs who have been in the market, already have products. And they are starting to build their new generation products off AWS. A great example is Newgen or in the low management system. I think over the last 15 months they have had some 15 wins. But they have been a great partner for us where we have had multiple wins together. Ramco is another great example. They have built their cloud ERP, and they have put it on AWS. So we have a lot of programs for ISVs and we are really talking about programs that start from incentivising them to use the platform, trainings, credits, because they do a lot of POCs for their customers. So it is only fair for us to work with them because they are our joint customers, so we help them with credits. And then the whole go to market bit. So you know my primary job is to help the ISV sell because it’s a co-sell model. When an ISV sells, the AWS platform gets consumed. So it is imperative for us to make them successful. So we have got a number of programs in place for our ISVs. And of course, it depends on your level of partnership with us because given the kind of… we have a public model. We have millions of customers on the AWS platform. I obviously can’t do it with everything and everybody at the same level of partnership. So we have different tiers of partnerships. And based on your highest tier there is a bunch of stuff that we do with you, and as you keep coming down there’s 10 different kinds of things that we would be able to do with you. So, one our roles as AWS is to see how we can keep promoting the partners upward on that tier so that we can do more and more things with them. DC: How is AWS enabling or supporting that thriving startup community in India, particularly the Fintech services? So we’ve kind of replicated that story in India. Over 90% of the top 100 startups (in India) are using AWS. Now when you look at startups it’s really a journey. Some of these companies today cannot be called startups. They are such large companies. They are Internet companies or what we call digital native businesses. And what we’ve recognised is, depending on what stage you are at, your needs are going to be different. And hence we’ve customised our programs accordingly. So when you are at the really early stages, we have a number of programs here. We have a program called AWS Activate, which includes free credits. We give them free credits so that they can start building their businesses off us. It includes trainings, because you need to understand how to use AWS well. It includes mentorship. So there’s a number of things that we do. Then you get into accelerators and incubators. Once you start off, then you find a good accelerator or a venture capital company. And we have various programs that are catered specifically for that. So we work with all the large VCs in this country today. I have a team which focuses just on that. And then you look at the big boys, the guys who are scaling. And their ask for help is very different and hence we have, remember I spoke about the go-to-market programs? DC: What’s your roadmap for India? What do you want to achieve now going forward? Bikram: We are going to continue to focus on our customers. At Amazon it is always about start with the customer and then walk backwards. And we are going to continue to listen to our customers and build for them. If you look at our roadmaps, we don’t have any defined roadmaps at AWS. Ninety to 95% of the roadmap is actually based on what the customer tells us. It’s still day one. If you look at everything that we are addressing: hardware, software, infrastructure, services; there’s security, mobility, analytics. It’s a market worth trillions of dollars. And I don’t think we have even scratched the surface. I firmly believe that a lot of what has been built over the last 20-30 years in data centers, in the next 5 to 10 years is going to be moved to platforms like AWS. So exciting times ahead.